Seven years ago I happened upon social medias and kept going after more. I suppose I suddenly found time for a break with the enormity of raising three children close in age. I also wanted to know what they were doing as we’d heard of the many dangers of the world wide web, something I didn’t have growing up. We had books, television, movie theaters, and school. I continually learned enjoying most of it and appalled by some. Eventually I started three blogs, ended up on Twitter, Facebook, Tumblr, You-Tube, and a few others. I’m still here but am now prioritizing and refocusing. 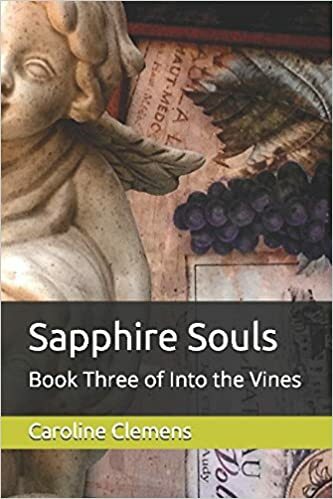 The photo above is the cover for my 3rd novel ‘Sapphire Souls’ which is part of Into the Vines. My photograph was used with Amazon’s KDP (kindle direct publishing), a tool for self-pubbed authors. Truly incredible! Never did I think I would write books. Click link below. A whole other world opened for me and for that I’m grateful. I learned more than a lot. I gained an entrance into my brain that was rarely used (I wrote poetry back when I was 20 n 30) and found out how to express that. Things I loved growing up were right there, and now maybe, I understood why I liked those things as a child or teen or young adult. No wonder why I went out for musicals, choir, sports, put on skits, and ran for vice president of my class. We should pursue the things in life that make us happy, feel good, and want to succeed, otherwise we become miserable and unable to move forward. We feel trapped. I’ve always been for more arts, sports, recess, and music in school. I could see my children being swept up in homework, sitting all day, bored in class by teachers passing out worksheets and not teaching. They just don’t listen to me (yes, I even got on a board w the principal back in elementary school). Therefore, I decided to write books in hopes of gaining a larger audience. I’m a doer but realize one person can’t do it all, and really, would we want perfection all at once? I continually seek a sweeter life (and a publisher) with adventure, and maybe now, just to do a little less as my teens will be eighteen (2) and nineteen (1). I have to break except for a couple blog posts I want to do in March on theivorytide.com. I will do my May newsletter on this site. I deserve a small break, it’s been a wonderful life! As I learn this craft of writing (I never in a million years actually believed I could write a book, yet alone a poetry collection), it is like anything filled with dis-beliefs, sorrows, bad reviews, no confidence, what am I doing moments, along with steady assurances and liking one’s own work. If I didn’t like my work I would have stopped back in 2011. When I reread parts of my novel I still love it. Sure grammar and punctuation have improved though still not perfect. Who’s perfect anyway? Reads a line from one of my poems. I’m entering contests; why do this you ask? Because contests are a fun way to get people to participate. They propel you to put your best self forward and that’s not a bad thing et all. I’ve entered three contests this year for my poetry alone. From very small online venues to one long standing contest which has upwards of 400 contestants. The Poetry Festival had an actor read my beautiful poem then send the recording to me! It’s at the top of my Twitter feed. Look here at their site. Soon I’ll be outlining a whole plan for future works. I hope to go a little mainstream as in entering my works in magazines. I just haven’t had the time. I’m finishing up a year long stylist school. Yup, my mother always instilled in me have a back up plan: that way you can venture out and pursue whatever you want in life. Pure economics advice from those depression era memories. She’s a better mother than she realizes, I’m sure. My eyes are set on a busy and healthy year ahead. Back to working out daily, salads, etc. and maybe some golf! You know the score find a part time real job, be a mom again, write away after a vacation to the beach. My family has had to do mommy things this past year in my absence. I thank them for supporting me. Dreamily, I’ll think about Paris and other places to visit. Follow me on Instagram kim_troike and Tumblr autumnquotes. I’ll be posting photography from my new camera. Photo above from Thinkstock Images. Thanks for stopping by. Content. Content. Content. Or as they say in real estate … What’s the most important thing in buying a home? Location. Location. Location. What’s this all about you ask? I’m spurred on by challenges. Are you? My writer friend named Suzie has inspired me again. Her and Jane, who writes daily, are my web support. Her post about attempting to do one a day for NaNoWriMo got me thinking, and now writing. Since I have three blogs and a novel in progress I thought I would give it a shot, a run or at least a good try! That whole thing about shoot for the stars and see where you land, somewhere a midst the heavens or sky, is kind of how I live my life. Yesterday was halfway for NaNoWriMo and I did two pages of writing for my novel, ‘North Depot 1922.’ I participated in NaNoWriMo in 2013 and will do it again someday. 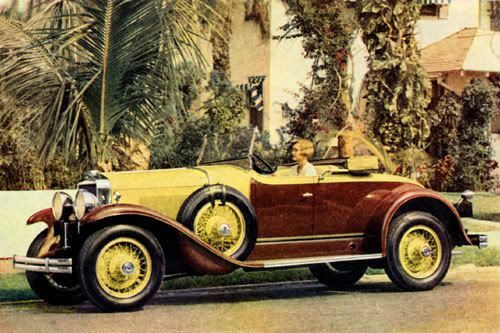 Here I am today on my author site~pen name Caroline Clemens.com with some inspiration to keep us all moving forward, driving down that road to wherever we are going. I have taught myself to become a writer through reading, writing, learning, asking and putting it down on paper or screen. It has been quite a process. If you are at the beginning, well, keep going. I’m here to tell you that completing a novel is worth the effort. Its all yours! What’s in a book you might ask? What makes a great book? Read a great book and you’ll know. It has that emotion, words that reach inside of us and wake us up with joy, or stretch our insides to spill out tears by merely turning a page. Have I written a good or great book? Well, if you measure that by readers, then no. If you measure that by publishers wanting my manuscripts, then no. If you measure that by best seller lists, then no. But if you measure it by do I love my own work, then yes! Yes! Yes! Yes! And now for the finale … content. Content is important, it declares your genre, your time period, fiction or nonfiction, etc. Mixed in with all that content is the body. More specifically it is the people (characters), plot and punctuation. I have trouble with all of these but punctuation is a definite problem of mine. One thing I’m blessed with is I never get writer’s block. English was not my best subject in school. I was better at science, math and physical education, sewing, too. Somehow though, I arrived wanting more from music, books, poetry and the arts. I obtain such joy yielding to this subject matter. And that’s the way it is! Visit my other blogs and see where I land in this NaNo Land.